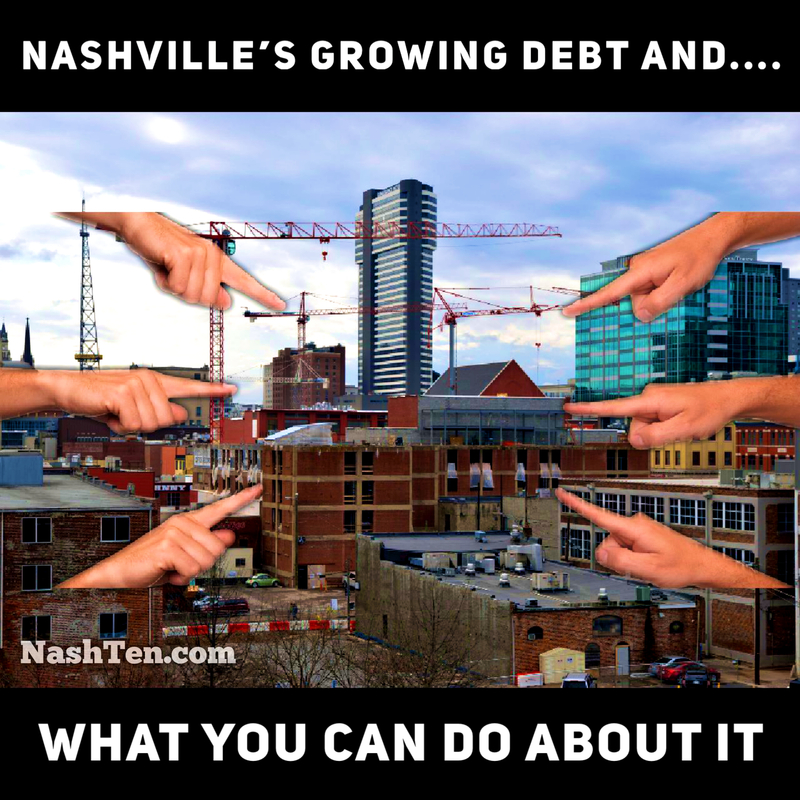 The Tennessean made a good point in their article today about Nashville’s level of debt. They showed that in 2018, one out of every ten dollars was spent on debt payments. And that this is the highest rate since 1993. Nashville made $251.8 million in debt payments last year. I see that as a good thing. We should be paying down our debt burden in good times. That is the fiscally responsible thing to do. That number is 44% than it was 10 years ago. Also, property & sales tax revenues climbed significantly over that same time period. You need to invest in your city to attract people and companies to move here. When more people are moving to your city, you have to provide additional services. And, you get the privilege of collecting new taxes. In addition to providing more services, Metro Council “kicked the can” during the depths of the mortgage crisis. Instead of raising taxes to pay more debt, Metro paid interest only for two years. While this is akin to paying minimum payments on your credit card, it also didn’t place the burden on the hardworking citizens of Nashville who could least afford it in the middle of the crisis. While I am not a fan of municipal debt, I understand how we got here and I’m not ready to ring the alarm bells. I’m for continuing to run this city with fiscal responsibility, keeping services at a world-class level and managing our growth for the betterment of all Nashvillians. One of the ways we are doing this is by not raising taxes and the formation of a Blue Ribbon Commission tasked with saving $20 million annually by identifying waste and other ways to save. The most important score of our financial health is the debt ratings placed on our bonds by companies like Moodys. Currently, we are rated as the third highest rating available. The growing revenue base helps us keep our stellar ratings. If you have questions about Nashville or the market, then give me a call. I’m looking forward to listening to what you have to say.